Laid down, 24 August 1942, at Western Pipe and Steel Co., San Pedro, CA. 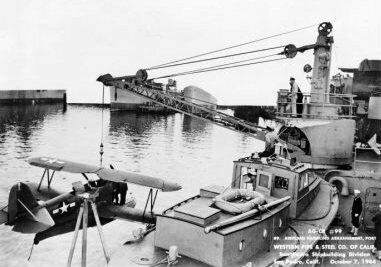 27k View of USCGC Westwind (WAG-281) aircraft handling crane holding a Grumman J2F Duck at the end of the crane boom. Photo was taken at the Western Pipe and Steel Co. Yard at San Pedro, CA., 7 October 1944. 45k USS Westwind (AGB-6) underway with heavy wartime gun armament and a Grumman J2F utility amphibian biplane on her deck amidships. 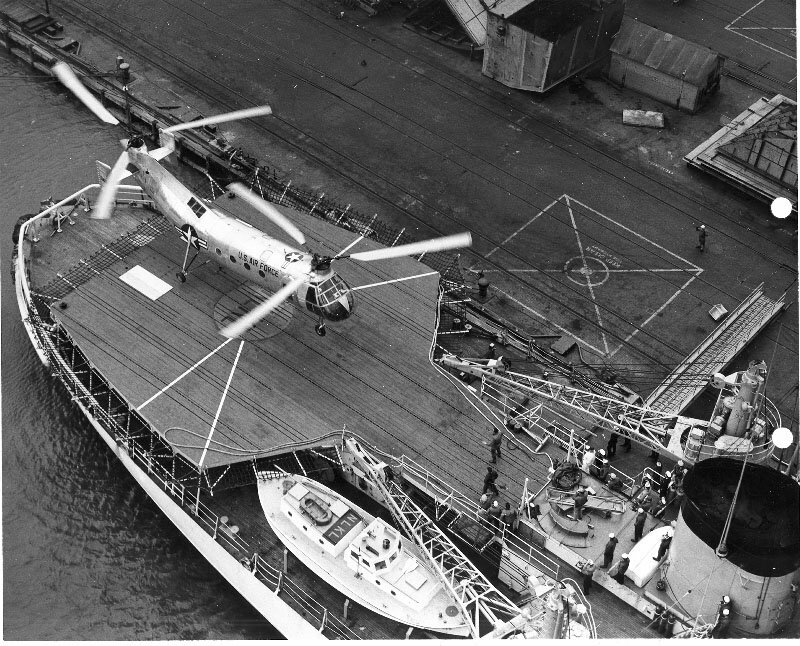 178k A USAF Piasecki HRP-1 Flying Banana lands on board a platform built over the after deck ofUSCGC Westwind (WAGB-281) in 1956. 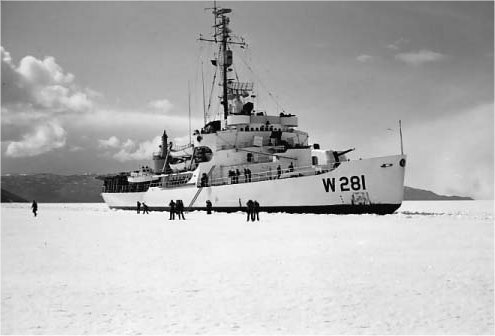 24k USCGC Westwind (WAGB-281) underway in Arctic ice in 1957. LT. Keith Midberry, USCG Ret. 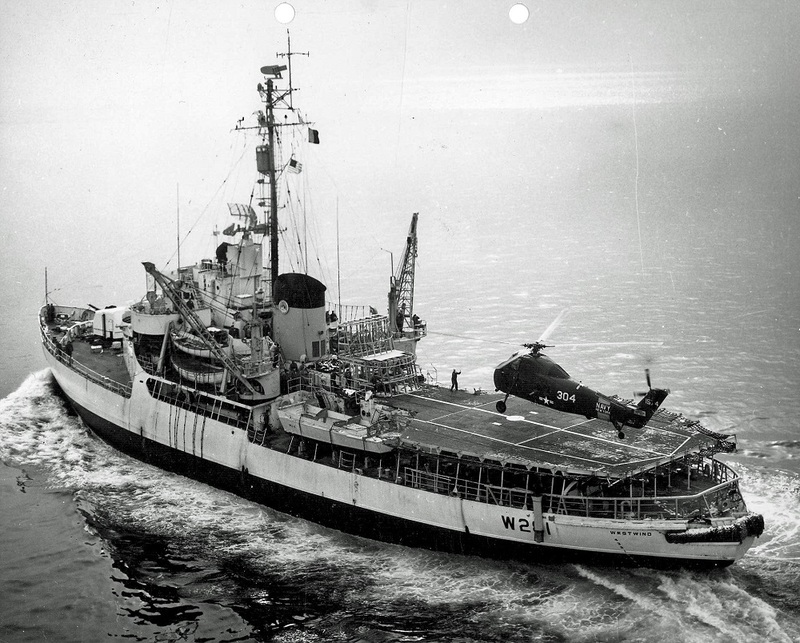 365k An HSS-1 helicopter landing on the flight deck of USCGC Westwind (WAGB-281) operating off the East coast of the United Sates, 27 January 1961. 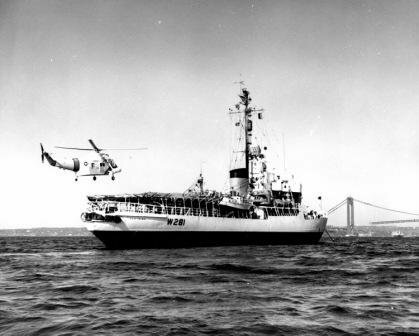 26k USCGC Westwind (WAGB-281) prepares for an Sikorsky HH-52A landing in Gravesend Bay, Brooklyn, 6 March 1964. 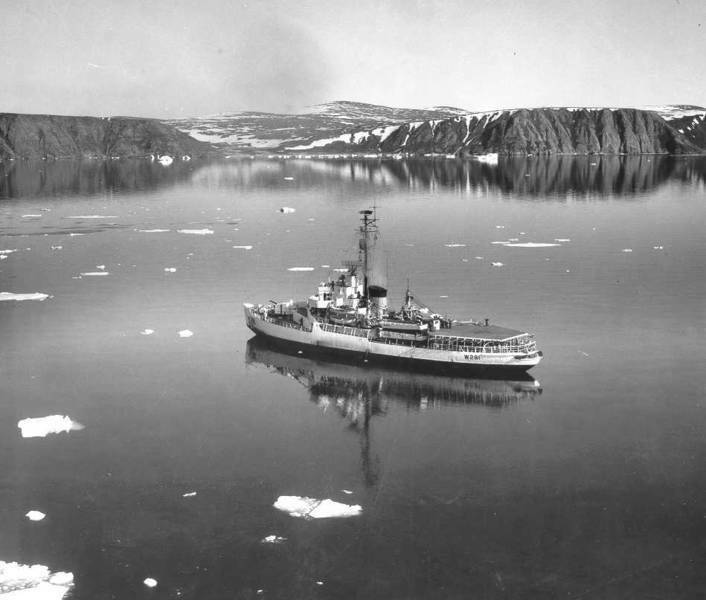 36k USCGC Westwind (WAGB-281) approaching USCG LORAN Station Cape Atholl, Greenland in 1964. 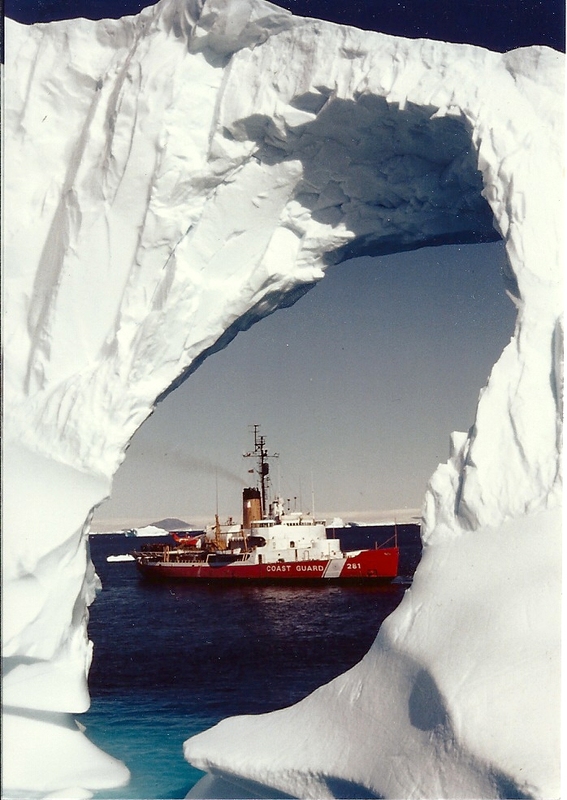 273k USCGC Westwind (WAGB-281) underway in Arctic ice, date unknown. LT. Keith Midberry, USCG Ret. 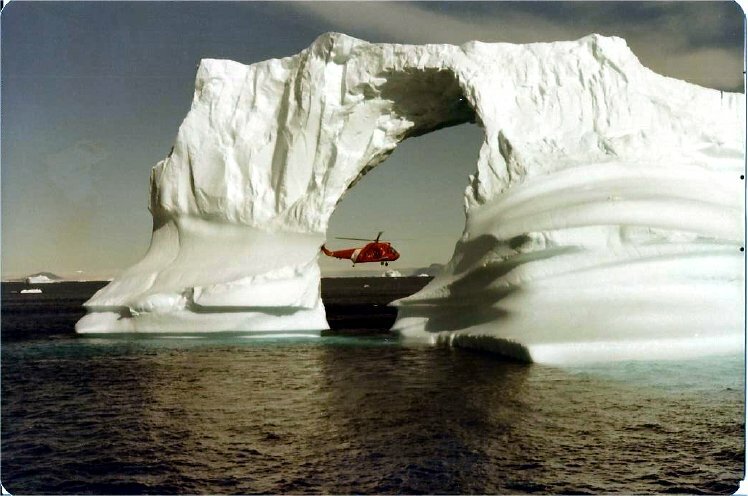 76k USCGC Westwind (WAGB-281) helicopter in the Arctic, date unknown. LT. Keith Midberry, USCG Ret.